This course was given in Eindhoven on 30 January 2018. The speakers were prof.dr. Gregory Parsons, prof.dr. Erwin Kessels, dr. Bart Macco (guest speaker), and dr. Adriana Creatore (guest speaker). Very good that slides were handed out! More advanced topics and input on specifics about deposition, novel techniques, etc. would be great. 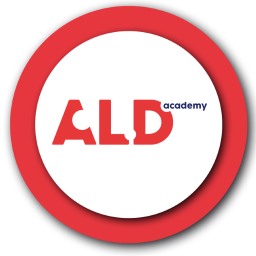 Description – The course starts with a short introduction into ALD and subsequently elaborates extensively about spatial ALD for high volume manufacturing of solar cells. Elementary aspects of spatial ALD will be presented whereas also several reactor configurations will be discussed. This includes wafer-to-wafer, sheet-to-sheet, and roll-to-roll ALD configurations. Special attention will be given to the underlying ALD details. In three other blocks, the use of ALD for specific solar cell applications will be described. The first one is the application of ALD to prepare nanolayers for surface passivation of crystalline solar cells. The part will mainly focus on Al2O3-based nanolayers and stacks. The ALD process of Al2O3 will be described in detail and subsequently the underlying mechanisms of silicon surface passivation will presented with a focus on ALD-related aspects. The second topic will be the preparation of transparent conductive oxides by ALD. State-of-the-art ALD processes will be presented for a variety of solar cell types and particular attention will be paid to the introduction of dopants in the thin film materials. This part will be concluded by a short introduction to the topic of passivating contacts for crystalline silicon solar cells. The third and final topic will be the application of ALD for the preparation of perovskite solar cells. The various potential roles of ALD in perovskite solar cells (and) will be presented including the use of ALD films for barrier applications. The application of ALD in tandem solar cells involving perovskites will also be discussed. There will be ample time for questions during the course and/or in the breaks. After this course, the participants will have a good overview of the (potential) applications of ALD in the most relevant solar cell technologies and will understand the solutions the method can provide. The participants will also have a good knowledge (including practical know-how) about the (spatial) ALD processes most relevant for solar cells. Targeted audience – The ALD for photovoltaics course is aimed at people (researchers, students, technologists, etc.) that work in the field of solar cells that want to learn more about the opportunities that can be provided by ALD as well as the underlying details of the method and the processes. The course is also suited for people working on ALD who are interested in photovoltaics. Course material – A handout of the lecture slides will be distributed before the course. Pre-prints of a book chapter and articles on ALD for photovoltaics will be provided. Program – The program consists of 4 blocks of 1.5 hour lectures. These blocks will be separated by breaks and a short break is scheduled during the 1.5 hour lecture as well. The program will run from 8.45 am to 5.15 pm.